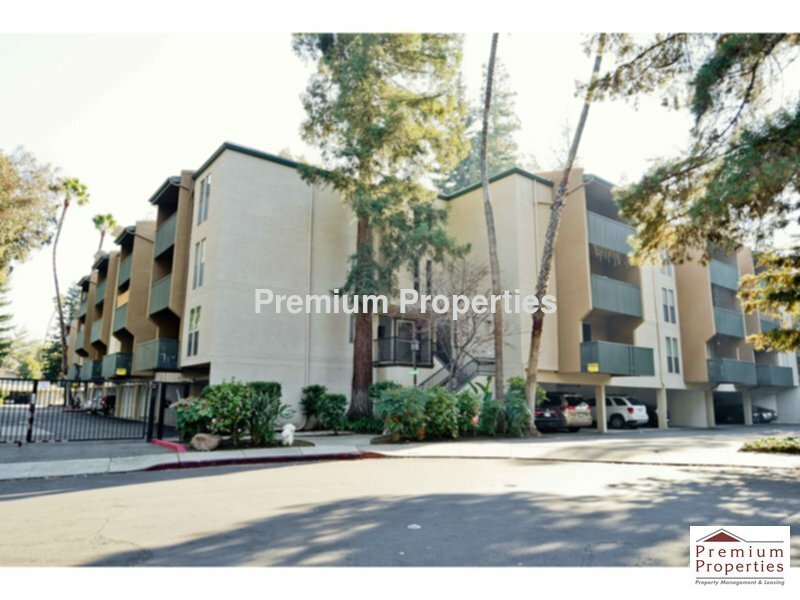 Residential Rental Listing 1 bed 1 bath in Walnut Creek, CA. Great UPDATED 1 bedroom, 1 bathroom condo in the Greenwood community located in downtown Walnut Creek! This unit is located on the upper floor of the building! Just a short distance to downtown Walnut Creek-Broadway Plaza. This condo has been remodeled and features recessed lighting, vaulted ceilings and designer paint colors. This unit has approximately 490 square feet of living space. Living room is spacious with a coat closet, laminate flooring, and a slider leading out to the balcony. The kitchen features stainless appliances including refrigerator, dishwasher, microwave, and electric range. Kitchen has laminate flooring and granite counters with an open breakfast bar. Bathroom has an outer vanity area. In a separate room is the toilet and shower over tub. The bedroom has carpet, a ceiling fan, and a large closet with mirrored closet doors. Laundry room is on the same floor of the building. Water, garbage and HOA dues included. Parking includes one assigned carport. Amenities of the community include a clubhouse, gym, billiard room and community pools! No Smoking. One SMALL pet negotiable with owner approval and additional deposit. This owner does not participate in the Section 8 program. Call Darcy with Premium Properties to view @ 925-286-4891.